A framed, production-used storyboard copy used in the production of Steven Spielberg's 1989 classic adventure film Indiana Jones & The Last Crusade. Pages such as this were integral to the creation of the movie, and enabled the team to visualise each shot early on. This illustration shows a shot in one of the film's most iconic scene – the Nazi tank chase. This production-used copy is signed by veteran producer Robert Watts. 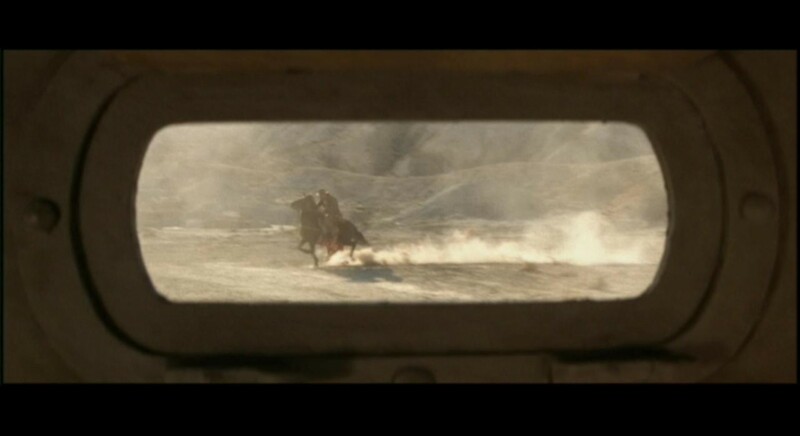 It shows the POV from the driver of the Nazi tank, chasing Indy on his horse. 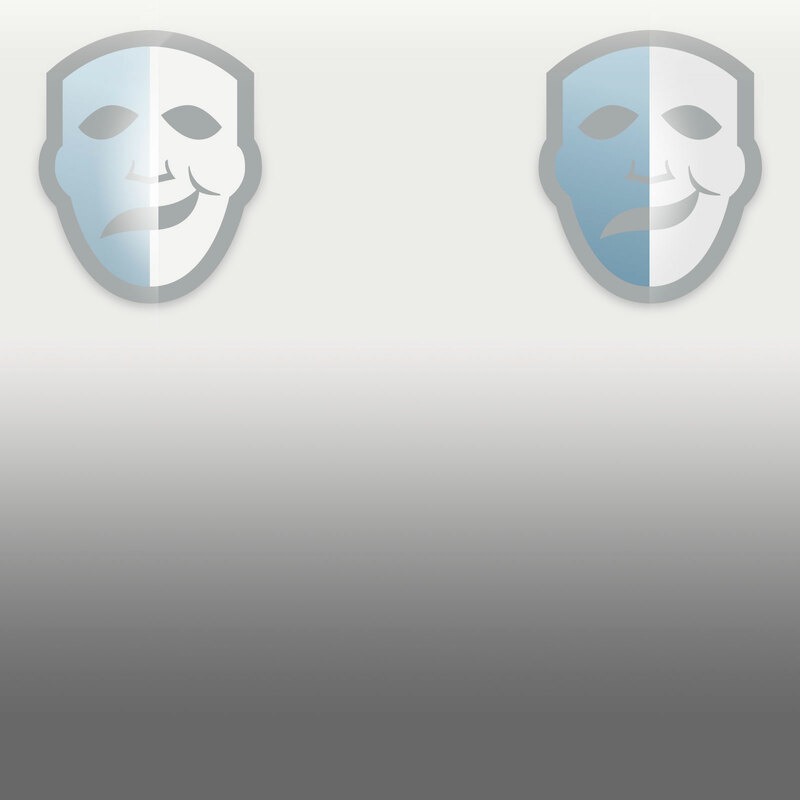 The illustration shows Indy from behind, labelled as '1' and Indy turning his horse, labelled '2.' Below the illustration is a scene description directing the sequence. 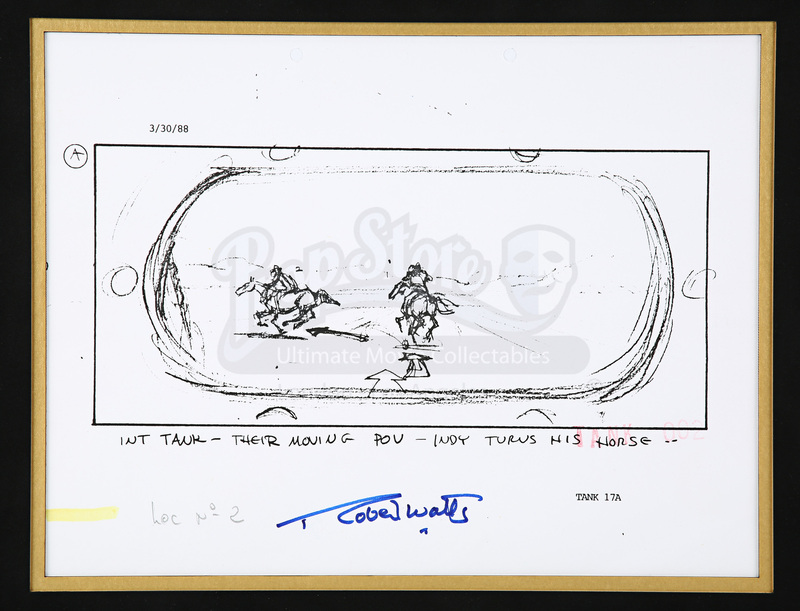 Printed on A4 sized paper, the storyboard is stamped 'TANK 002' and dated 3/30/88. The paper is hole punched at the top, showing that this paper and others would have been held together in sequence. 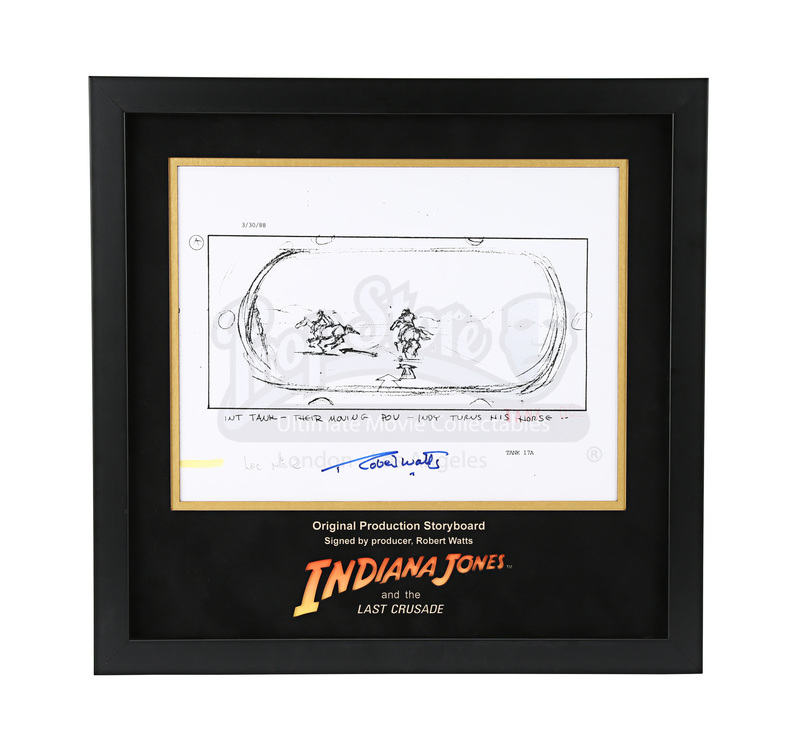 It comes presented in custom-built display with laser cut mount board featuring the movie title and brief description. The frame measures approximately 37cm x 36cm (14 ½' x 14 ¼').